When we organize a wedding or event, there are many factors to be taken into consideration to achieve a spectacular result. Today, we will talk about three of them: the food, the service and the location. The dishes offered by Fosh Catering are supervised by our internationally renowned, 1 Michelin Star, top British chef, Marc Fosh. We offer traditional, Mediterranean cuisine, with a surprising, avant-garde touch. We use only top-quality, fresh products in our dishes always prepared on-site. We create new flavours and textures by mixing origins and flavours to achieve spectacular results and impress everybody who tastes them. We continuously innovate, create and renew our menu, season after season, to maintain our position as the reference catering company of the sector. However, the service we offer also makes us special. We have a team of highly qualified and dedicated staff, who always work with a smile and with the aim to make every wedding or event perfect. The word “success” is engraved in our minds and the level of satisfaction received from our clients, is what motivates us to continue improving on a daily basis. 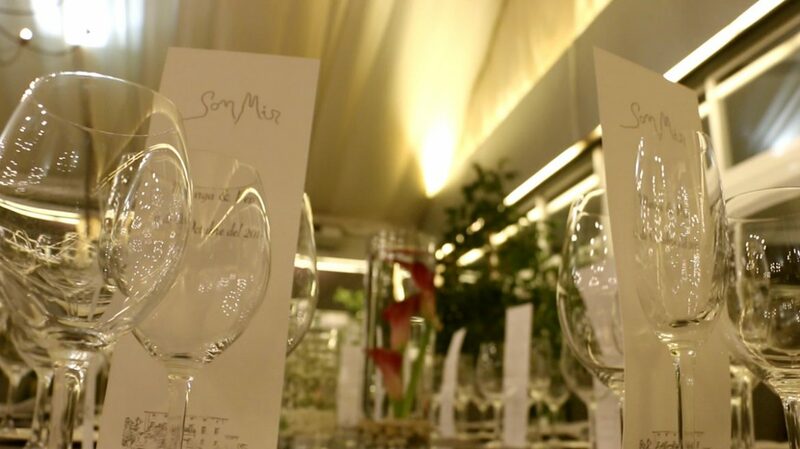 Waiters, Maîtres, Sommeliers and kitchen staff, all work with the same level of passion to make each event unforgettable. 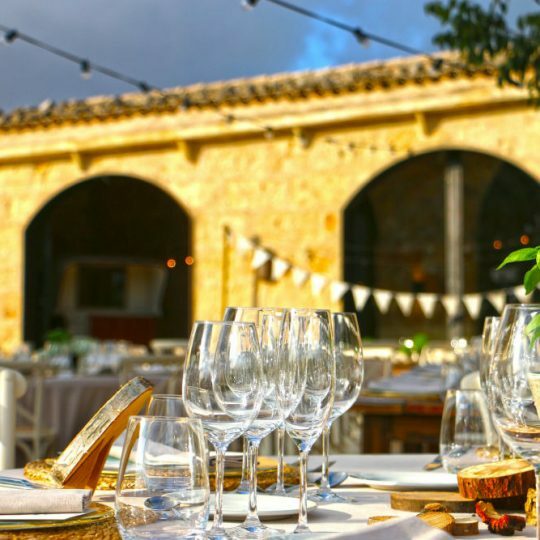 We work with the most exclusive estates in Mallorca, which bring tradition, history and beauty to events. 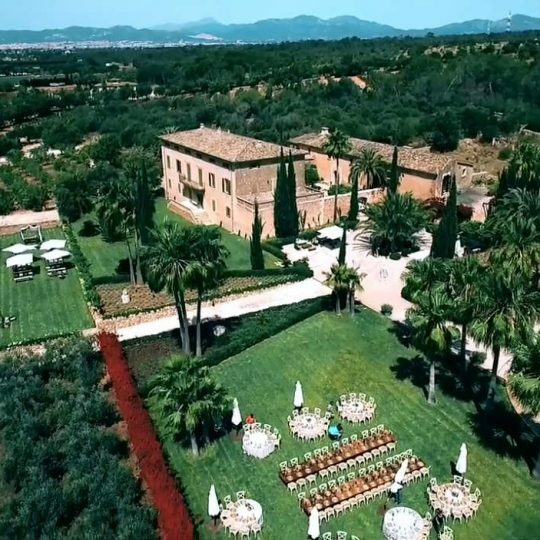 Amongst these is the Son Mir Estate, a typical Mallorcan construction, surrounded by vineyards and a spectacular mill which turns any occasion into one marked by beauty. This estate dates back to the XVII Century and has inside areas suitable for both small and large gatherings. Outside, its magnificent gardens wait to delight us. Another estate is the Son Mesquida Nou, an enchanting ancient farm in Algaida, offering several different areas that can be personalized and adapted to the tastes and needs of each client. Our combination of cuisine, service and estates makes each wedding or event singular and unique. Seeing is believing! Why not give us a try?